My boss sent everyone in the office the picture of the heart cake from I am Baker and I instantly knew that I had to give it a try. So, I did, and it didn't turn out perfectly, but it sure tastes good and it was fun to make, and it kind of looks like some great red lips, so that still works. 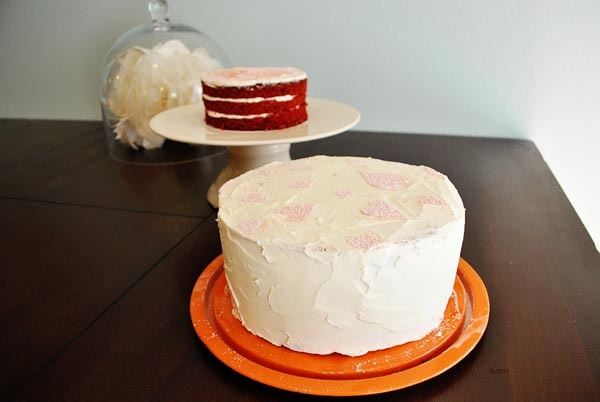 I used this white cake recipe and this red velvet recipe (this has to be my favorite red velvet recipe that I've ever tried). 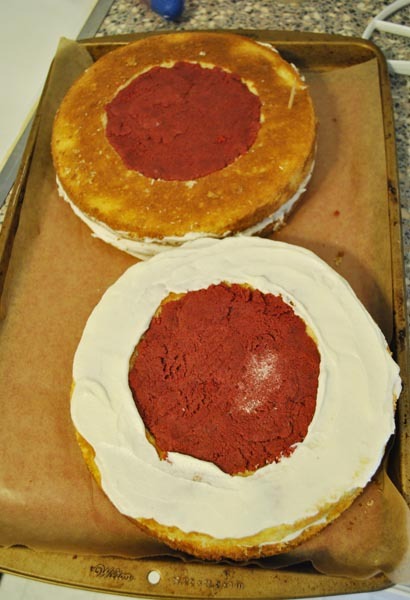 For the icings, I used basic cream cheese frosting (1 package of cream cheese, 1 stick of butter, vanilla and powdered sugar) to mix into the red velvet cake and basic buttercream frosting (2 sticks of butter, vanilla and powdered sugar) to assemble and ice the cake. 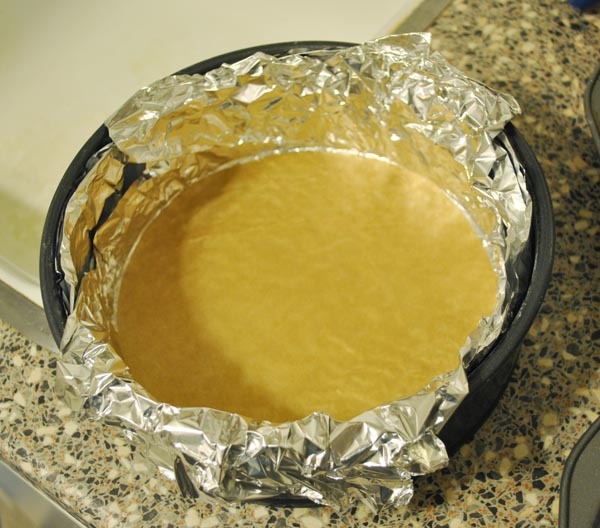 I only had three 9" pans, so I used my springform pan for the 4th cake and used some foil to bring down the size a bit. It worked out pretty well. I sort of glanced at the tutorial and then gave it a shot. I did some things slightly differently. 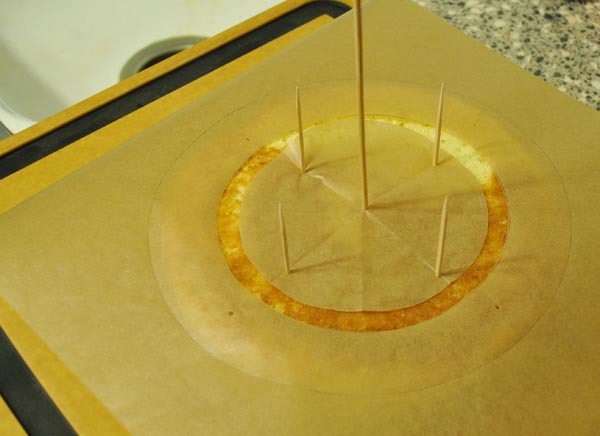 I made a parchment paper target instead of making a twine and toothpick compass. 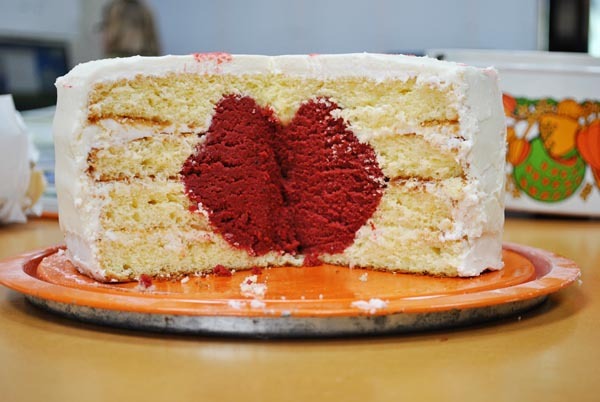 I made a cake crumb and frosting cone for the indentation of the heart because I wasn't so good at carving the cake that intricately. I marked the top layer with a toothpick. And I trimmed up the sides just to neaten everything up. After some more time in the freezer (freezing cakes is so much more important than I ever thought) I crumb-coated and frosted the cake. 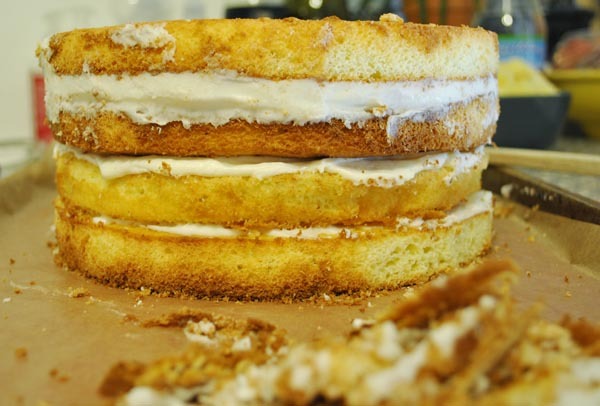 Then to decorate it, I took this powdered sugar idea from Pioneer Woman and adapted it a bit. 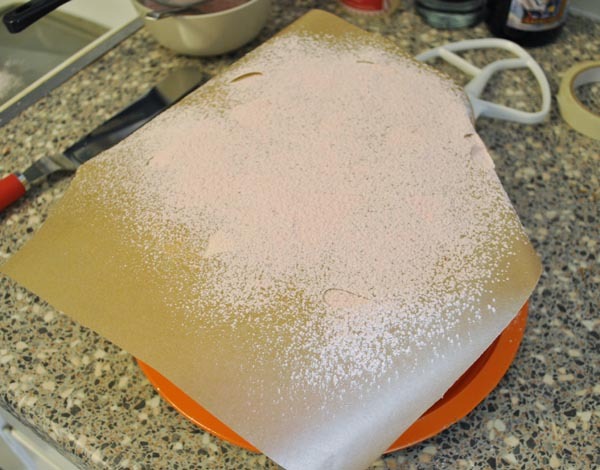 Though, in hindsight I absolutely should have used chipboard so that it would have been easier to avoid extra sugar flying everywhere. 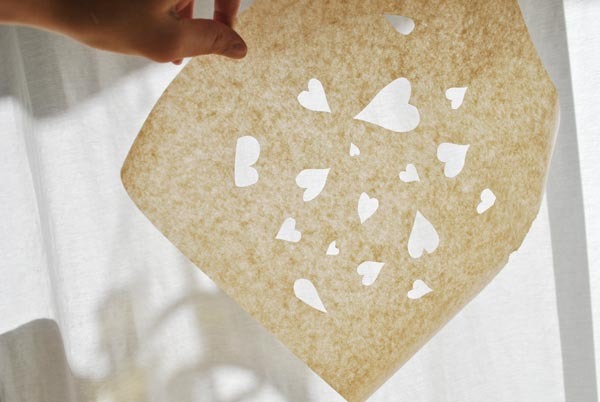 I used an x-acto and some parchment paper to make a random heart template for the top. 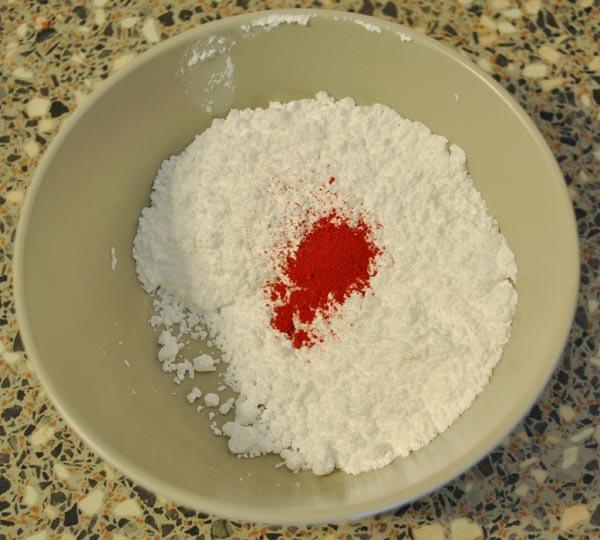 I mixed powdered food coloring into powdered sugar for some color. 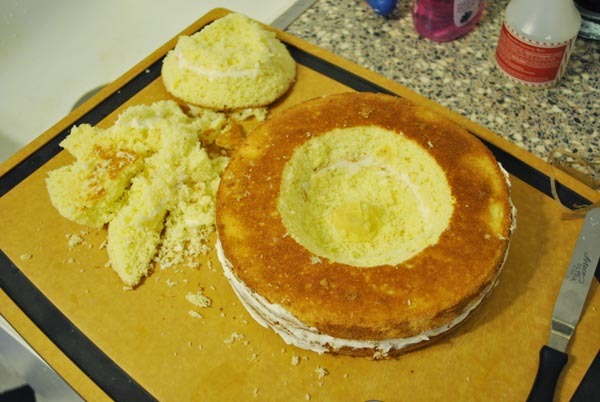 I placed the template on the iced cake. Sprinkled on my pink sugar. 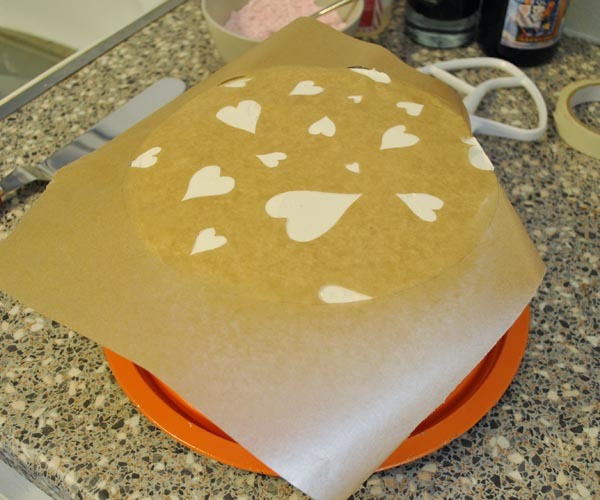 Then I tried to carefully remove the parchment paper, but it got stuck to the icing and a little extra sugar got everywhere, but the hearts were still legible. And for the big finish, here are the 'hot lips' that ended up inside. 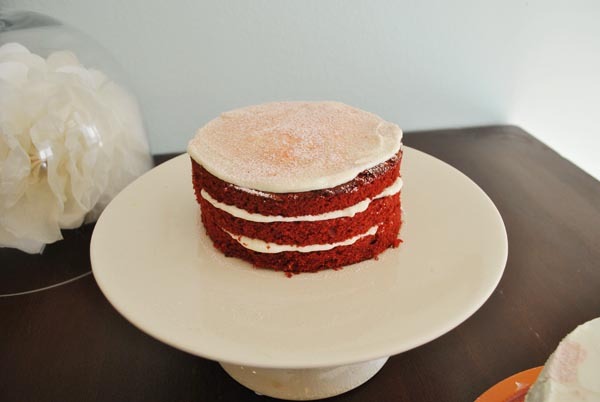 And I had enough leftover red velvet cake to make this little guy for my Valentine's Eve dinner party. 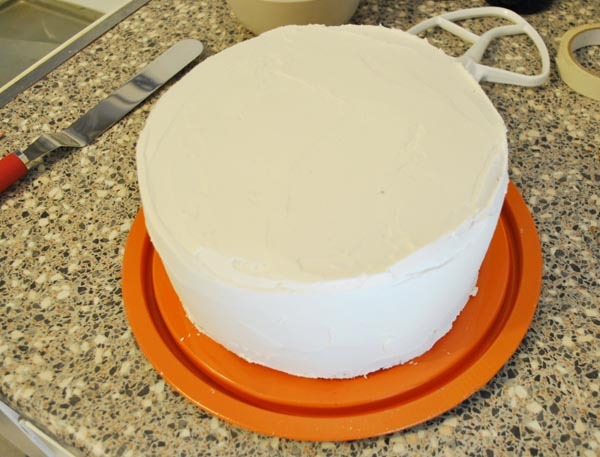 I took a 6" round template, cut the cake out of the 9" x 13" pan, froze it and sliced it into three layers. 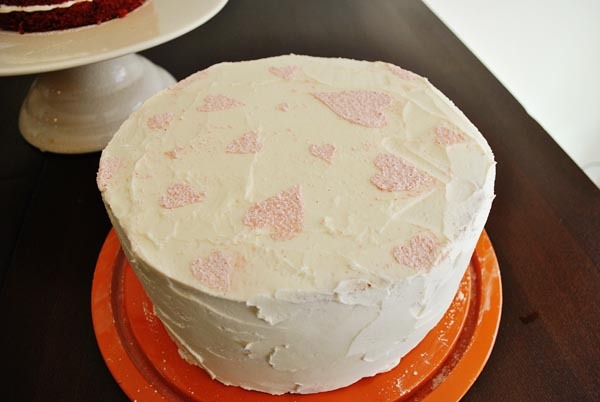 I added a bit of cream cheese frosting and dusted with the pink sugar. Eileen - I so very miss your dinner parties and you being around to host them. that is so cute!! i will have to try it... i wonder if other shapes are possible.. I love the how to pics. This was amazing cake and I'm going to try it one of these days. Thanks for the recipe. You did great!! Love it!